The vital role pubs play in the local community bringing in much needed money for the economy and generating jobs has been highlighted by Cambridge MP Julian Huppert in the House of Commons. Julian reminded MPs of the importance of the pub trade as he fights to save those threatened with closure across Cambridge and the country as a whole. He spoke out during a back bench debate on the beer duty escalator saying: “I would like to highlight not only the social role but also the economic role that pubs play. 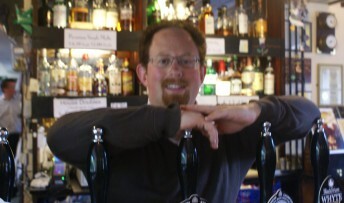 Julian took the opportunity to emphasise the role pubs play in communities across the country as his Local Services Bill, which gives local authorities the power to prevent the demolition or change of use of a pub without planning permission, goes before the Commons again tomorrow (Friday, November 2). Although Julian does not expect the Second Reading of the Bill to progress, he is determined to continue his campaign. “Our pubs are such a crucial part of our communities that we must not give up the fight to protect them,” he said. “They are vital for the social role they play, the economic benefits they bring and the fact that many are house in historic buildings which are a key part of our heritage.